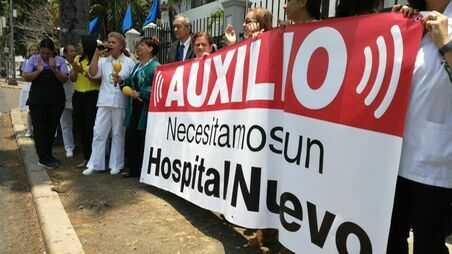 The protest comes after the Ministry of Health changed the date of presentation of proposals for the tender for the construction, equipment, and maintenance of the $558.7 million new structures of the Hospital del Niño, the maternity hospital of Santo Tomás and annexed areas, and the restoration of the gardens and remodeling of the La Abeja building, The presentation of proposals, scheduled for last March, was reset scheduled for April 15. This is the second date change made in this phase. the first call was set for February 21. Promises of a new hospital fro replace the near 70 year old, overcrowded building have been mooted through three presidencies.